Perimeter Books launches its first collaboration with Cibi, showcasing some of Japan’s finest art and design publishing. 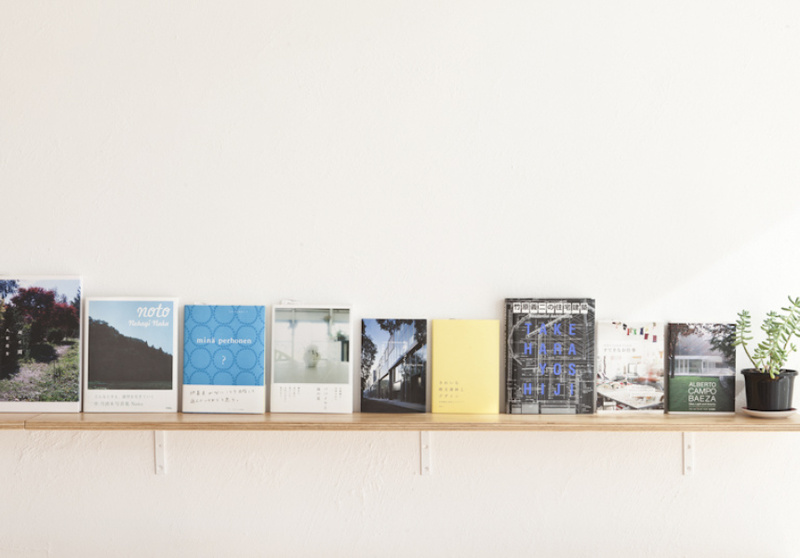 In their first collaborative install, Perimeter Books are popping up at Japanese cafe and design store Cibi to present Books for Life, a small showcase of some of the finest in Japanese publishing in the realm of art, photography, architecture, design and craft. The exhibition and mini-shop will run for 10 days, and we are invited to peruse the pages of books by renowned Japanese publishers such as Foil, Toto, Little More, BNN and ADP. The show was curated by our good friends at Perimeter Books, husband and wife team Dan Rule and Justine Ellis, who say the collaboration with Cibi seemed like a natural pairing. “We have a little bit of a history travelling to Japan”, says Rule, who admits to a cultural wonder for the country. As a result, the couple's small bookstore and art space in Thornbury already has a strong Japanese presence. “We’ve also spent a lot of time at Cibi as customers, buying goods from their design store, and developed a friendship with the owners,” he says. Zenta Tanaka and his wife Megumi opened Cibi in Collingwood in mid 2008 with a simple, all-encompassing philosophy. “Style, food and living” are the three key elements that have helped to form their establishment. The endearing nature of the name (which means 'little one' in Japanese) reflects their desire to remain curious, an idea the curators have tried to integrate. “Together, we chose Japanese publishers that we thought embodied the Cibi ideology. We wanted to present beautiful design that was humble and functional, and not just for its own sake,” says Rule. This exhibition emphasises that despite the unrelenting digital age, books continue to bear their inherent charm as portals for inspiration, awe and admiration. In this collaborative exhibition, we are given the chance to enjoy the simple potential of the book as a cherished object that adds depth and joy to our lives. Perimeter Books x Cibi, Books for Life, runs November 10–20 at Cibi.